This is my first month with this group of talented group of Demonstrators. WOW I cannot believe that we are already almost at the end of January. 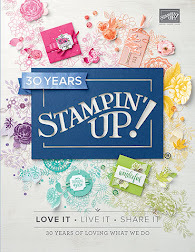 I have been a demo for the past 5 yrs and I absolutely LOVE Stampin' Up! products. 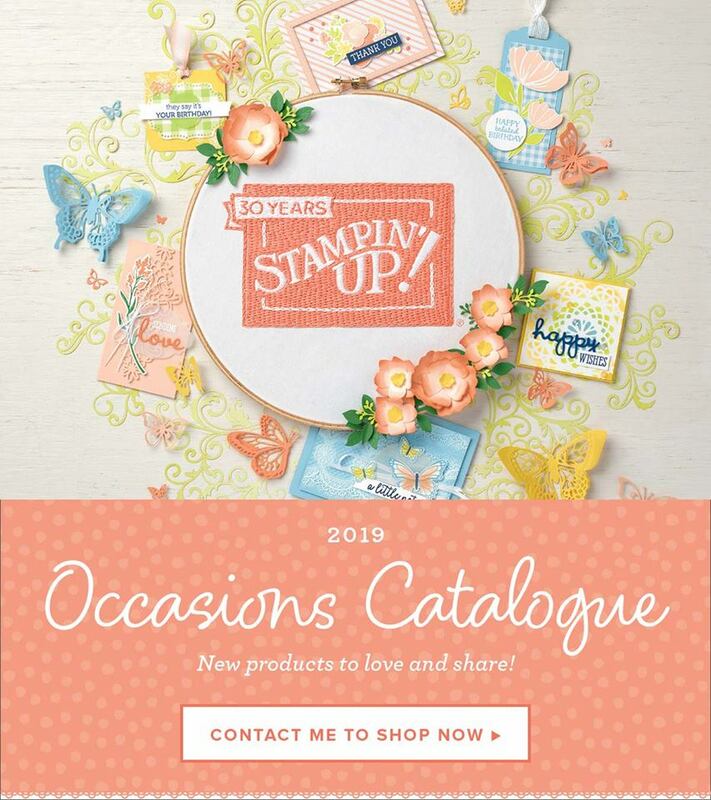 This month we are focusing on the Spring/Summer or Occasions catalogue. I got to use one set that I don't own - Nine Lives - 148703 and the Cat punch - 144666I had never done a split front on a card like this before. We also decorated the envelope. 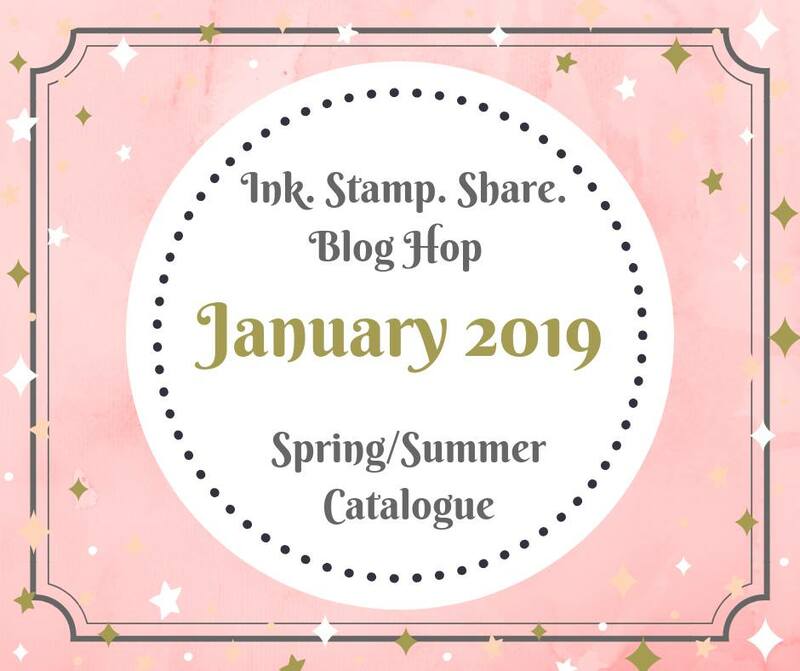 that I don't do random stamping this weekend was a whole lot of random stamping. Was great to get out of my comfort zone...Sorry I don't have any STEP BY STEP to show you. Then we used my Geared Up Garage to create the other kits. 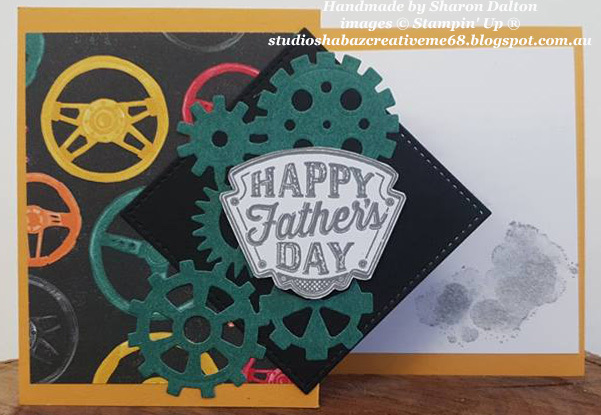 and a couple of stamps from Geared Up Garage - 148590. AND the Garage Gears Thinlits Dies - 148521. Vicky cased the design from the catalogue...BUT changed it!!! We die cut the cogs from black DSP and tore some of the red DSP. We fussy cut out one of the cars from the DSP. Of course I had to change a couple of things on mine....Just to be that little bit different. I added some of the Black and Silver ribbon underneath my sentiment. and then put embossing powder over the lot and heat embossed it to give it a real gloss. Looks Magic...Not that the photos really show it up. the previous weekend using Geared Up Garage. Not much stamping on this card, except the sentiment and a bit of oil on the corner. 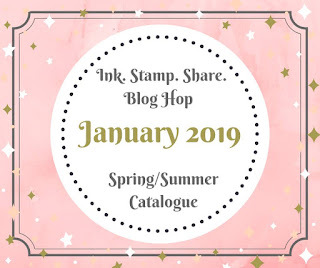 Such quick and easy cards with DSP and a couple of stamps as well a couple of inks..
in the comments and box and continue hopping through the rest of the participants. 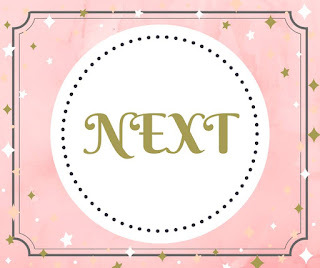 Up next is Melissa Tennison, click on the NEXT button and this will take you to her blog. simply by clicking on the next person down. 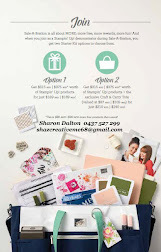 If you need an Australian Demonstrator, I can help you out. 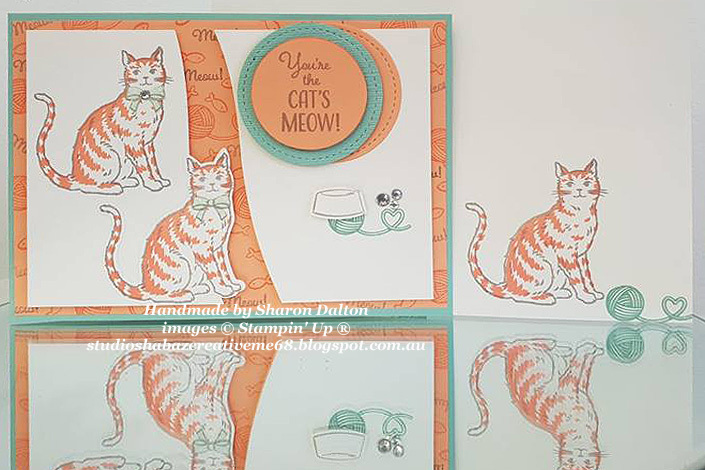 Love your cards, the cat set is so cute. Very nice projects! It's always nice to gather up with some craftingfriends :). 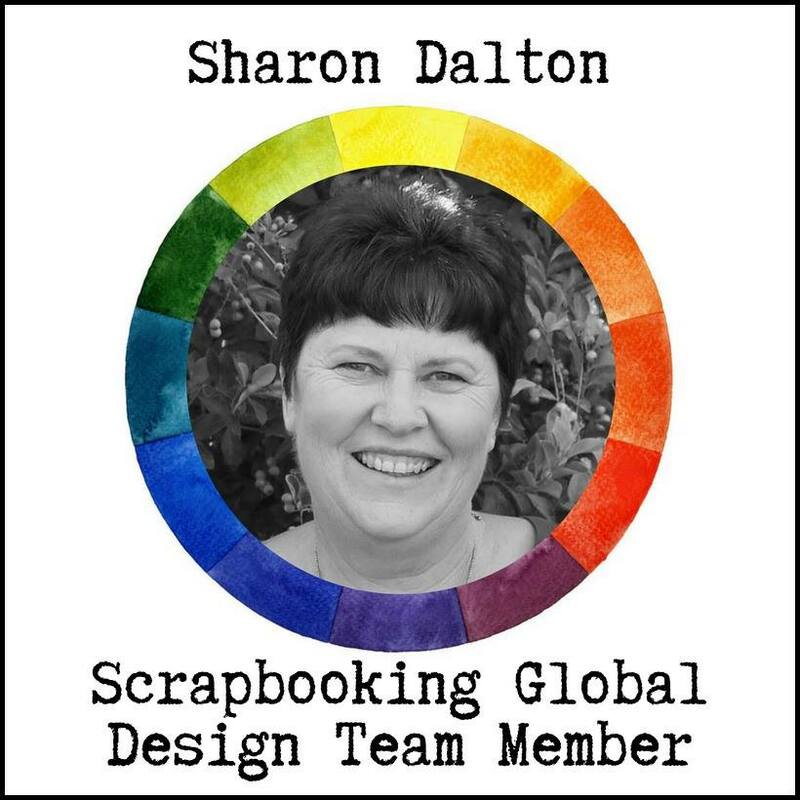 Sharon your projects are all so lovely! I think my favorite is the last card, the Z-Fold with the Geared Up Garage. It's really fun and such a great card! Thank you for sharing your creative projects with us! What lucky customers you have to get to build such fun projects! Beautiful projects. my favourite one is the Z fold card. 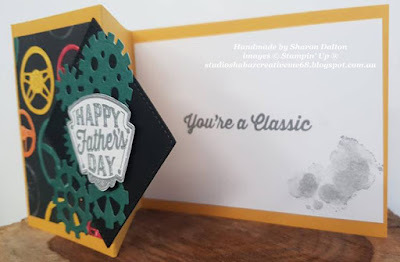 Great use of this suite for some fabulous men's cards. 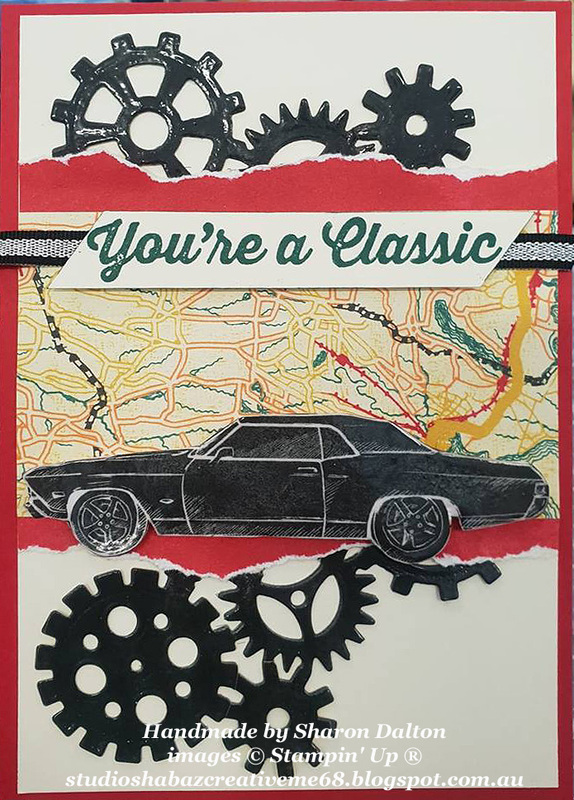 You are so creative, thank you for sharing so much inspiration with us!